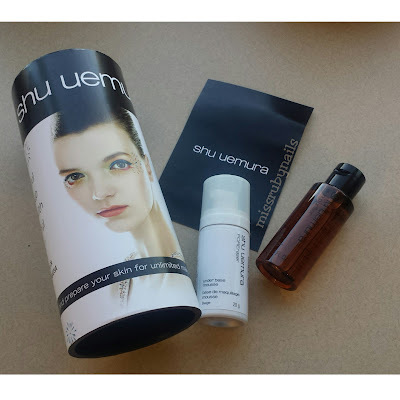 This month I picked the Shu Uemura box which only has 2 items. I love using cleansing oil as the first step of my cleansing routine. 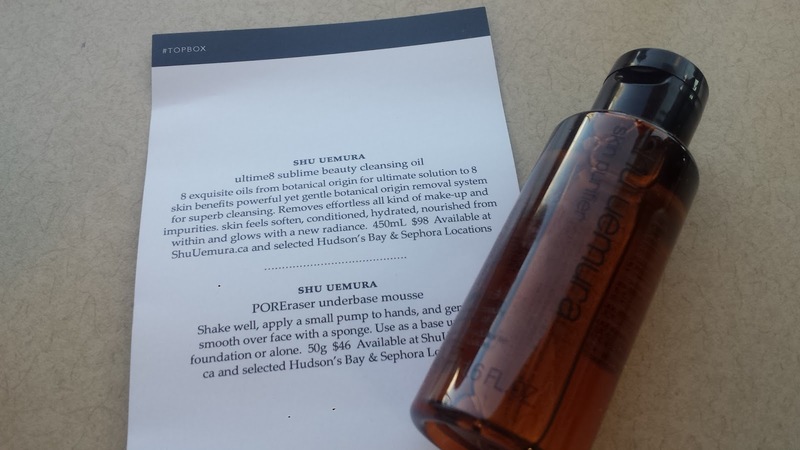 I have tried other cleansing oil from Shu Uemura before and I think this is a new one claiming to have 8 skin benefits. It smells very botanical/essential which I like. This is a good 50 ml deluxe bottle and I will sure put this to good use. I have heard about these mousses by Shu for a long time but never tried them. You have to shake this bottle well and pump it on the hands. It is a bit hard to control how much you pump out since I was trying to be gentle and still got a big ball of mousse. The product is super light and watery. 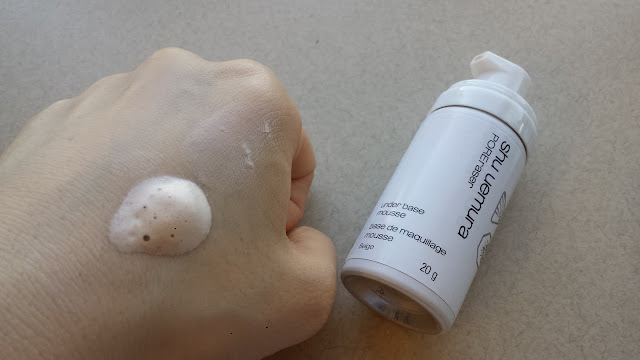 I didn't see any pore minimizing effect on my hand tho, but I will sure test it out on my face as a pore primer before applying makeup.